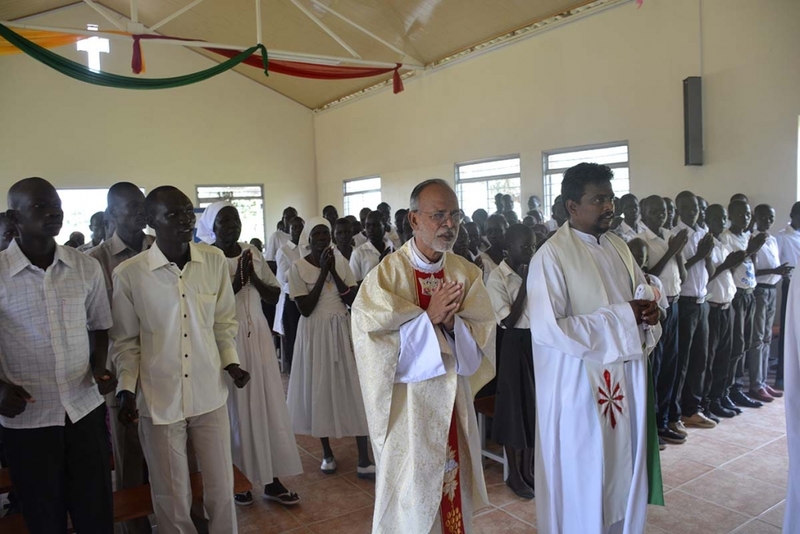 (MissionNewswire) Father David Tulimelli, parish priest at the Salesian St. Vincent de Paul parish which operates Don Bosco Gumbo, has dedicated his life to the youth of South Sudan. He has been a witness to the young country’s troubles and was praised in 2016 for his efforts to assist those who were internally displaced by the ongoing conflict in South Sudan. Fr. Tulimelli fed 4,000 in that year as the country’s refugee crisis intensified. The Salesian presence in Juba is quite large. One of the primary centers in the region is the camp for those that have been internally displaced that took refugee there during the war in 2013 and then later as conflict continued. At the start, Salesian missionaries report that there were close to 4,000 people. Now, there are more than 12,000, and the vast majority are women and children. Near the camp there is also a nursery school for 1,000 children. Within the complex, there is also a school run by Daughters of Mary Help of Christians with 1,100 children who come from the neighboring villages. UNHCR, the United Nations Refugee Agency, has noted that nearly 2 million people are displaced within South Sudan, and close to another 2 million have fled seeking safety and shelter in neighboring countries. Many of those fleeing South Sudan are women and children. They include survivors of violent attacks and sexual assault, children who have been separated from their parents or traveled alone, the disabled, the elderly and people in need of urgent medical care. UNHCR has noted that South Sudan, the world’s youngest nation, has now joined Syria, Afghanistan and Somalia as countries that have produced more than a million refugees. It noted that an estimated 7.5 million people are in need of urgent humanitarian assistance. In addition to the camp within Juba, Salesian missionaries educate 3,900 elementary students in two daily shifts. Another school run by Salesian sisters has 350 students and a Salesian technical school educates 300 students. 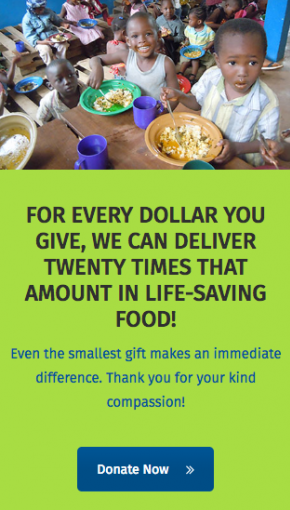 The Sisters of Charity of Jesus also run a medical dispensary, which has greatly reduced infant mortality. In the area, the nuns also offer horticulture courses to young mothers. A Salesian oratory also welcomes nearly 500 children and three outlying Salesian elementary schools educate 450, 600 and 800 students respectively. Fr. Tulimelli notes that one of the biggest challenges is needing more people to assist with the overwhelming need in South Sudan. He notes that there are six Salesian pre-novices in the community so that is a sign of hope but more is needed. “By widening our gaze, what South Sudan needs most is peace. It is a very young nation with great resources. If there is collaboration, in a few years it can flourish and amaze the world,” adds Fr. Tulimelli. Salesian missionaries at Don Bosco Gumbo and across South Sudan continue to assess the situation and are working within their networks around the globe to access additional humanitarian aid. Responding to the ongoing civil strife is nothing new to Salesian missionaries in South Sudan. They have been continuing their educational and social development programs in communities across the country while also responding to the ongoing humanitarian crisis.